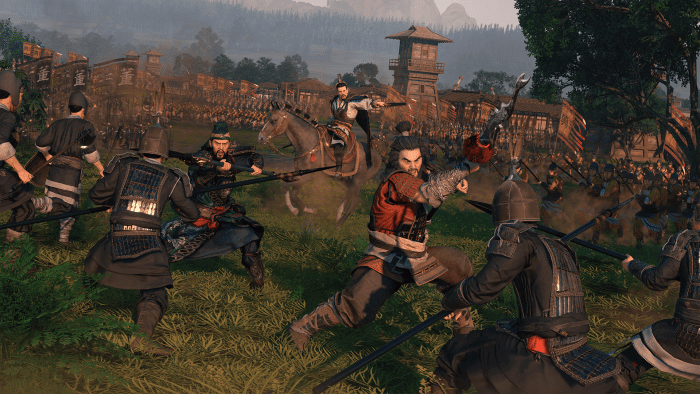 Total War is taking on the legendary Three Kingdoms period with its latest installment, bringing fantastic turn-based strategy to beautiful Chinese battlefields. Featuring a powerful cast of playable warlords, complex character development, trouble-free troop placement and a gorgeous historical setting, Total War: Three Kingdoms looks like a pretty big achievement so far. At a preview event in San Francisco earlier this month, we got the chance to sit down with the game alongside Creative Assembly developers to see what the newest Total War has in store. By far, the element the developers are most excited about is the brand new character development aspect that seems to be the real heart of the game. Characters are no longer tied to a certain faction, and can be recruited along the way by different factions to form rivalries or alliances. They each have their own traits, abilities and relationships, making the world seemingly more immersive and complex than in past Total War games. The east Asian setting and map design looks absolutely gorgeous, with soft, Chinese paintwork carried across beautifully in all of the artwork. For a seasoned veteran of the Total War franchise, the UI seems fairly intuitive and the controls are simple enough. 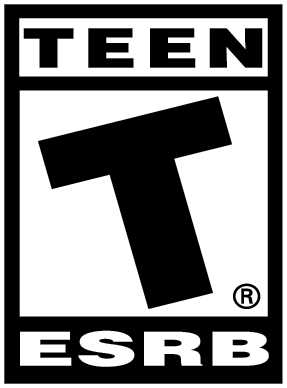 For a new player entering the series for the first time, the sheer magnitude of the game can easily be overwhelming, but all texts and resources on the UI can be hovered over for more information, and the gameplay at the start of the game is very forgiving. The visual detail and beauty of the game can be easily admired thanks to the free moving camera that allows unrestricted observation of the battlefield, and it’s fun to be able to zoom in extremely close to the warlords and watch (in gruesome detail) as they slay in combat. 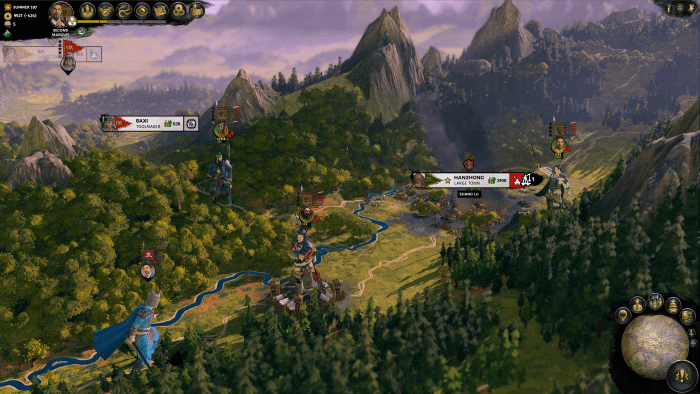 Troops can be placed around the battlefield seamlessly by just dragging over different areas of the field and clicking accordingly, making it almost effortless to execute different formations and strategies. Total War: Three Kingdoms was a blast to play, and I have been thirsty for more ever since my preview with the game. It’s smooth, exciting and detailed as all hell, and the historical Three Kingdoms focus was a brilliant choice in my opinion. I am excited to see what the full release brings on March 7, 2019, and would highly recommend that any fan of the series keep a close eye on what’s to come. Next Is Anthem Poised To Fulfill Its Destiny?